Published: Dec. 28, 2011 at 02:48 p.m.
Meeting special people and occasionally witnessing history as it's made are two of the great things about this job. 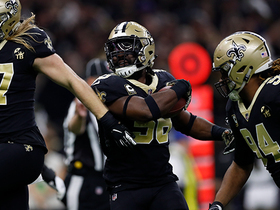 When New Orleans Saints quarterback Drew Brees -- one of the classiest, most competitive and exciting players I've covered in the NFL -- eclipsed Dan Marino's single-season passing record on Monday, I was able to experience both. It was a great achievement, breaking a record that stood for 27 years. 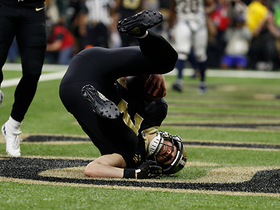 Yet, the moment -- a nine-yard touchdown pass to Darren Sproles -- didn't move me as much as Brees' incredible play during the Saints' 2009 Super Bowl run. His leadership skills, his ability to seize games and frustrate defenses and his talent for making magic against opponents that seem to have him smothered are why he's so special. He's simply taken things to a new level. The yards and record are a byproduct of his greatness. Brees is not a prototypical quarterback like Marino was, but what he's doing to and for the position is transcendent. Sure, other quarterbacks will beat Marino's mark, but no one is likely to put a team -- and a region -- on his back in quite the same way Brees has. Long after Tom Brady has retired, fans in New England will have the Red Sox and Celtics to cheer on. The Packers are the only show in Green Bay, but that team's backers have enjoyed multiple championships, not to mention Bart Starr and Brett Favre. The Dolphins went undefeated before Marino ever donned the aqua and orange. I covered Marino when I was with The Miami Herald; though he was a better quarterback than Brees and is arguably the biggest sports icon to date in South Florida, that undefeated Super Bowl season will be better remembered than his passing record. New Orleans and Brees, though, are different. The city celebrated his record because the people who live there feel like he did it for them. A hostess at an airport coffee shop told me that she stayed up late Monday simply to see if Brees would make history. A hotel attendant said Tuesday was a great morning because Brees had made Monday a great night. No one mentioned the whitewashing of the hated Atlanta Falcons, or the fact that the Saints had sealed the NFC South crown, until well into any conversation. "He could run for governor right now and would win, hands down," the coffee shop hostess said. I think he'd pitch a shutout. Individual records are often pursued for the sake of ego, financial incentives and adulation (think Barry Bonds). Brees is the anti-All-Of-That. Don't think he wasn't interested in the mark, though. He's admitted that once he got within striking range, he wanted to pass Marino, and he knew he had a coach in Sean Payton that would put him in a position to do so. 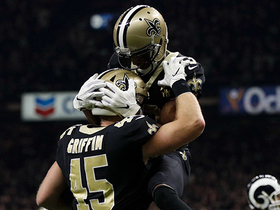 Thus, even after the victory over Atlanta was sealed, the Saints kept throwing for the record. The Falcons were given another reminder that no matter how hard they try, they will have a difficult time beating New Orleans. Mercy is not something the Saints are big on -- and who could blame them, with their dubious history before Brees and Payton. The rules of today's game make it almost certain that Brees will be bested very soon, however many passing yards he ends up with at the end of the season. Defenders are barely allowed to touch receivers, and every hard hit is now flagged for unnecessary roughness, meaning that most passing records are probably doomed to short shelf lives. Brees might even shatter the mark himself in 2012. That's not to understate the magnitude of Brees' achievement. He was the first one to top Marino. Guys like Brady, Favre, John Elway, Peyton Manning, Daunte Culpepper, Donovan McNabb, Tony Romo, Steve McNair and countless others have tried and failed to do what Brees has done. As Payton said, though, "There's a lot still to be written and we look forward to that." This is hardly over for Brees. 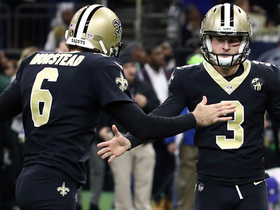 His current contract is about to expire, but the Saints will give him a massive new deal -- they can't pay him enough for what he's done for the franchise and city -- and he'll continue to make his receivers better and elevate the standard that quarterbacks are held to. The moment that Brees passed Marino was just that -- a moment. When all is said and done, it will prove to have been a fleeting one. "The journey's not over," he said.